Who Can Register? Q: “Do you have to be a member of AG & AG to register?” A: No! All women are welcome! AG & AG members get $25 off match fees. Not a member? Join today! The Ladies Multigun Challenge is a 2-day match with 8 fun, challenging multigun stages in the beautiful natural terrain of the Kentucky hills. “A Girl & A Gun Fall Fest is the most remarkable experience,” said Dianna Muller, professional shooter. “So much growth from the women who come to this match!” The match includes a draw-dropping prize table, random-draw prizes, side matches, and fantastic swag and gifts for participants. 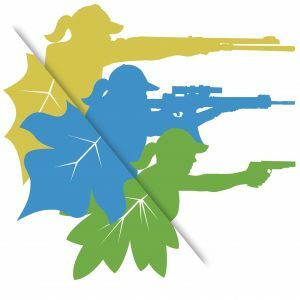 The Ladies Multisport Challenge is a dynamic and fun 1-day match that comprises multiple disciplines of shooting sports into one match. Each stage provides a unique experience: Pistol, Steel Challenge, Rimfire, Carbine/PCC, Flying Clays, Precision Rifle, and Cowboy Action stages! This match is SO FUN and challenging as all competitors get to experience a variety of sports and compete for great prizes. Even if you’re not familiar with all of these sports, this event will test your well-rounded shooting abilities. It’s a fun peek into different sports and a chance to see if you’re awesome at skills that you don’t practice regularly. Who Can Register for 3GU? Q: “Do you have to participate in the match to register?” A: Yes! The 3GU Multigun clinics are for competitors registered in one or both Fall Fest matches. The Saturday Multisport Clinic is for competitors who are registered in the Ladies Multisport Challenge. 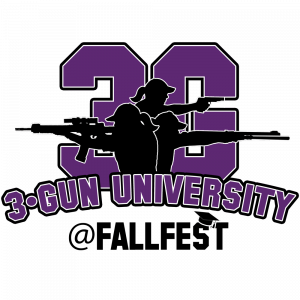 3-Gun University is a specialized training program to learn all aspects of action shooting sports: pistol, rifle, shotgun, optics, gear and equipment, and mindset, as required for your sport. Students get clinics on each topic and VIP squadding for the related matches. 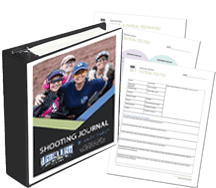 Instructors will (1) help you hone the fundamentals of shooting and the strategies of the game, and (2) provide meaningful support to help you grow beyond the entry level and achieve your best score. NOTE: 3GU assumes that participants have familiarity with each firearm platform. While fundamentals will be addressed in 3GU clinics, shooters should be able to comfortably operate the firearms needed for their match(es) without assistance. Multigun Challenge match days are Friday/Saturday; Multisport Challenge match day is Sunday. 3-Gun University clinics begin early Tuesday morning. Match Registration and Stage Review take place on Thursday. Multigun match concludes on Saturday night with dinner and an awards presentation. Multisport match concludes Sunday night with a brief awards presentation. Contact wendy@agirlandagunclub.com for additional info about room rates available in Park City or Cave City. Breakfast, Lunch, and Dinner are available for purchase at the Lookout Restaurant at Park Mammoth Resort. Several local area restaurant and national chains for additional food service choices. Bring additional snacks and drinks you may need throughout the day. Thank you to the following partners for providing funds and/or donations to make this event possible! 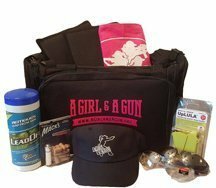 If you are interested in putting your brand name in front of women shooters, in our event photos, and on merchandise that they take home, become a sponsor. Life happens and sometimes last-minute situations arise that can prevent you from attending. Unfortunately we will be unable to provide refunds as time goes on and our vendors and service providers have been paid. Therefore, a $50 administrative fee will be charged for any cancellation. After 8/31/2019, there will be no refunds for match registration fees, clinics, or match-related items if you discover that you are unable to attend. Registrations may be transferred to another participant, and we will be happy to help you find someone who may want to pay you for your spot.